The application of zinc in roofing, façade and rainwater collection systems has developed significantly over the past twenty years in this country. Major continental suppliers (Rheinzinc, VM Umicore) have entered the market and many Clients, Architects, Designers and Planners readily welcome the practical and aesthetically pleasing results achieved from these systems. 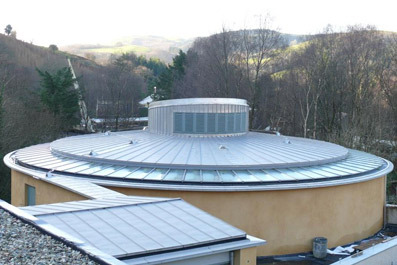 North West Metal Roofing have a close professional relationships with all the mjor suppliers and are currently a VM ZINC Partnership Contractor as well as an approved RHEINZINK installer, we also hold SIG DATAC accrediation to install NEDZINK. 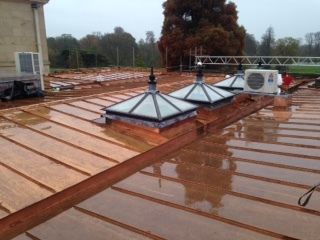 Copper has been utilised as a roofing material for many centuries. The familiar green patina adorning many church roofs and landmark buildings, testament to its longevity and suitability. The patina takes many years to form but recently chemical advances have made the artificial patination process a reality. The initial investment although significant delivers a quality product which will last many years with little or no maintenance. North West Metal Roofing have a close professional relationships with the mjor suppliers and have a long stading reputation for working with KME TECU Copper & ARUBIS, both companies manufacture a wide range of natural, pre-weathered & coloured finishes which can all be supplied & installed by NWMR. The use of stainless steel in construction is widespread. Specifically in the case of roofing its resistance to corrosion and strength make it a perfect choice. 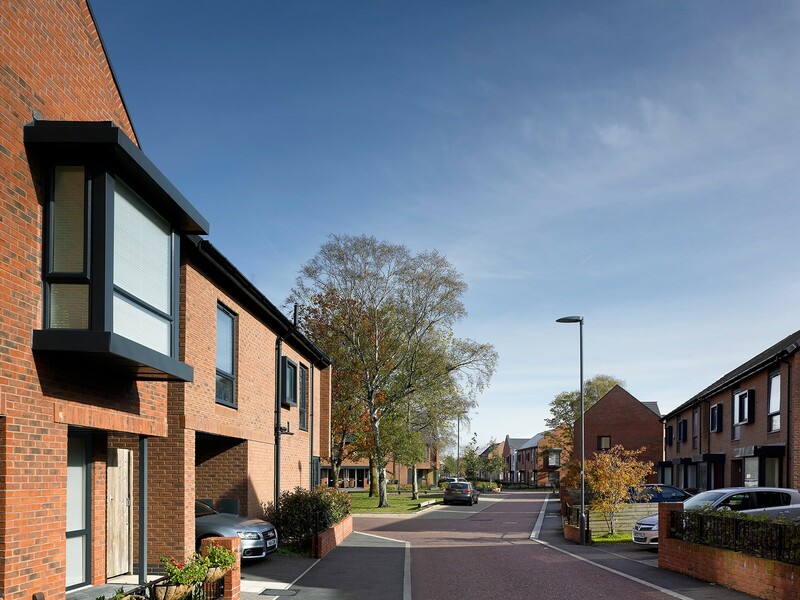 Predominantly installed in 0.4 or 0.5 gauge its various finishes complement new design while also being acceptable to more traditional clients such as English Heritage. The system of fixing is similar to other roofing products but its resistance to underside corrosion gives it some advantages in specific locations such as swimming pools. The Terne coat product achieves a similar finish to lead over time but suffers less with the on-going problem of theft. NWMR are approved to supply & install Aperam Terne Coat stainless steel invarious finishes such as Ugibright & Uginox. Lead as a roofing and cladding product is probably the most readily recognised sheet metal roofing system. For many generations people have used lead for complete roof coverings, gutters and flashing and also often combined with other forms of roofing. When installed to current Lead Development guidelines, the product provides the solution to many difficult and complex roofing requirements. We supply & install all codes of milled lead supplied in various roll sizes to be installed in line with LSA guildelines.